The Senate has approved that the candidates whose names appear on the attached list should be withdrawn from their respective courses for failure to obtain The University minimum academic requirements at the end of the 2016/2017 Session. Deans, Heads of Departments and Faculty Officers are requested to please ensure that the person so listed are not registered in their respective Departments/Faculties in the 2016/2017 Session. The management of Yusuf Maitama Sule University, Kano, has released the names of students on disciplinary action for the second semester of 2016/2017 Academic Session. Applications are invited from qualified candidates for admission into the Post Graduate Diploma in Education (PGDE) and Post Graduate Diploma in Technical Education (PDGTE) of the College of Education, Warri in affiliation with the University of Benin, Benin City for the 2017/2018 Academic Session. 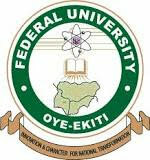 Intending applicants must possess a first degree with at least a third class or lower credit for Higher National Diploma (HND) from a known Institution irrespective of the discipline for PGDE while candidates for PGDTE must possess a minimum of third class or lower credit for Higher National Diploma (HND) from a known Institution in the Sciences, Engineering and other related fields of study. All applicants must provide 2 (two) letter of recommendation. One of which must be from the institution where applicant degree/HND was obtained. 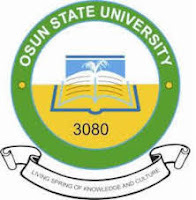 Provide a copy of his /her transcript and write a 2 (two) page A4 double spaced type essay on his/ her goal and objectives in seeking for the degree in question. Attach a passport photograph (red background) and photocopies of all credentials. Pay Application fee in the designated Bank Account and submit the completed application form and a copy of Bank Teller to the Office of the Director, PDGE Unit (UNIBEN Building), College of Education, Warri. 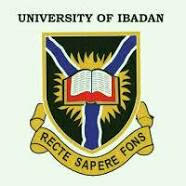 Account Name-------College of Education Warri, UNIBEN Affiliate. This is to inform all staff and students that the 7th Matriculation Ceremony will come up on Thursday, 12th April 2018. ALL FRESH CANDIDATES: This is for your information and necessary actions to ensure strict compliance. The following contains the list of admitted candidates ready for matriculation. Kindly note that if your name is not found on this list, it, therefore, means you are yet to use the PINS collected after Bank Draft submission at the University Bursary to commence registration on the Portal. 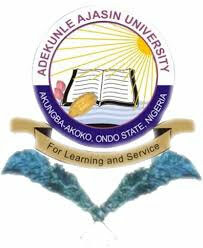 The management of the Adekunle Ajasin University, Akungba-Akoko (AAUA) has released the approved academic calendar for the first and second semester, 2017/2018 academic session.